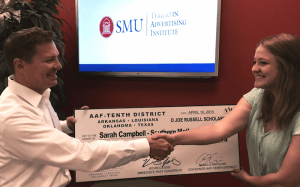 The Advertising Education Foundation of Houston (AEFH) awarded the O Joe Russell Scholarship to TAI student, Sarah Campbell. The AEFH and the American Advertising Federation of Houston (AAF-H) on April 10th presented 25 scholarships to college students who are pursuing undergraduate or post graduate degrees in advertising, communications, interactive marketing, journalism, radio/TV, commercial a rt, public relations or other related fields. 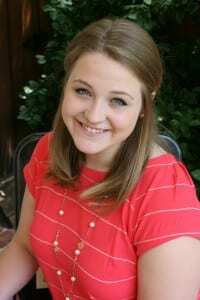 Sarah Campbell competed amongst students who currently attend colleges and universities within Arkansas, Louisiana, Oklahoma, and Texas (AAF-District 10). TAI is not the only one proud of Sarah’s achievements. Her former teacher, Professor Haayen said, ““I had the pleasure of having Sarah as a student in my Advertising Research class last semester. She was a joy to have in class. She is curious, engaged, motivated and hardworking. The kind of student who inspires her teacher and classmates to do their best work. This scholarship honor is well deserved, and I am sure it is the first of many successes to come. Bravo, Sarah!” The AEFH received submissions from 17 different schools within the AAF-District 10 region. We are unbelievably proud that a Southern Methodist student was able to win amongst such stiff competition. On achieving such a prestigious scholarship Campbell said, “I am honored to be selected as a recipient of this scholarship! The TAI program at SMU has been an incredible academic experience that has pushed me to grow both creatively and professionally. With the gift of this scholarship, it will be easier for me to afford the valuable resources available here at TAI. I look forward to continued mentorship from outstanding professors, inspiration from my talented peers, and the opportunity to increase the depth and breadth of my creative portfolio. The Lord has blessed me with more opportunities than I can count, and I am beyond grateful for the financial help that allows me to pursue His plan for me.” TAI is extremely proud of Sarah’s accomplishments and we can’t wait to see what she does in the future! 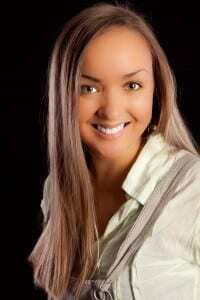 Please join the Temerlin Advertising Institute in congratulating Sarah Campbell on this outstanding achievement. 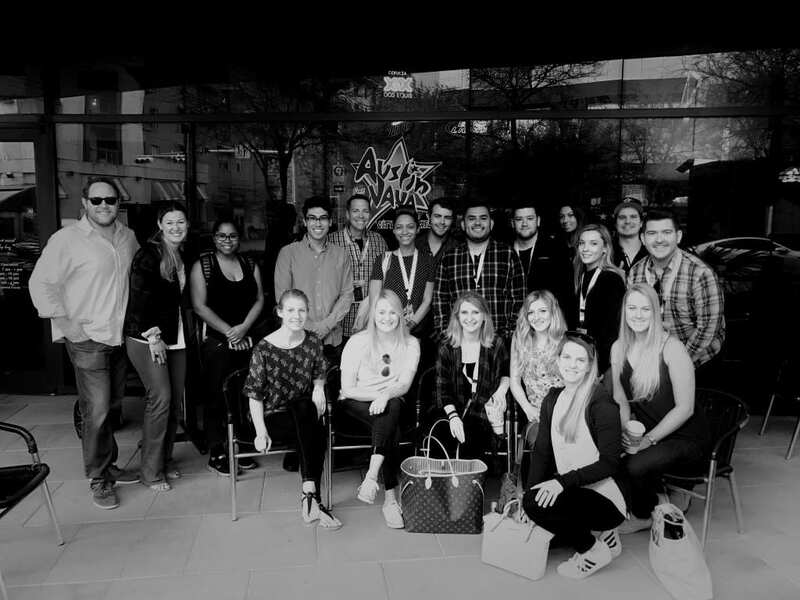 The Advertising Education Foundation of Houston (AEFH) awards scholarships to college sophomores, juniors and seniors pursuing undergraduate or post graduate degrees in advertising, communications, interactive marketing, journalism, radio/TV, commercial art, public relations or related fields. The AEFH Board of Directors received a record number of applications. The board carefully considered participant’s applications, educational aspirations and overall qualifications.​ As a result, Olga Romanova, majoring in Studio Arts and Creative Advertising at SMU, was awarded a Baxter + Korge Education Scholarship​ 2015.